One feature of a well-functioning democracy is an informed citizenry. The citizens are provided with adequate information on the work of government and the opportunities that exist in the country through a variety of platforms including media. In South Africa this is enshrined in Section 32 of the Constitution which states every citizen has the right of access to any information held by the state. The Promotion of Access to information Act gives effect to this right of access to information and aims to foster a culture of transparency and accountability in both public and private institutions. In other words, government communication is obliged to provide citizens with information so that they can take part in local, provincial and national discourse and influence the direction of the country. However for government communication to succeed, communicators need to understand their audiences, their unique needs and which mediums to use to optimise the impact of communication. Communication needs to be agile and able to change to meet new demands, and be responsive to a rapidly changing environment. With this in mind Government Communication and Information System (GCIS) developed and recently introduced a new Government Segmentation Model (GSM) to enhance public service engagement and communication. What is Government Segmentation Model (GSM)? 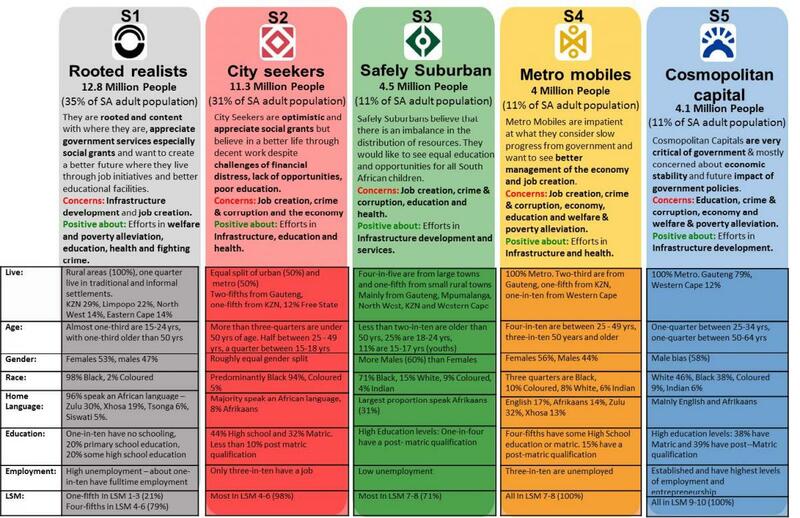 The GSM is a population segmentation created by the GCIS to enable government and communicators to understand and communicate to the different South African people segments. It is based on the research conducted by GCIS Research Directorate in 2014. The Directorate analysed its Quantitative Tracker data to determine differentiating factors that divide the population into different segments/audience groups that are relevant for government communications. GSM highlights the needs, behaviour, aspirations, concerns and characteristics of the different citizen groups and segments them into five (5) broad groups to enhance public service engagement and communication. The GSM moves away from segmenting/differentiating our audiences by LSM only as previously done; it goes beyond the traditional marketing LSM classifications and takes into consideration variables that are relevant to government communication. 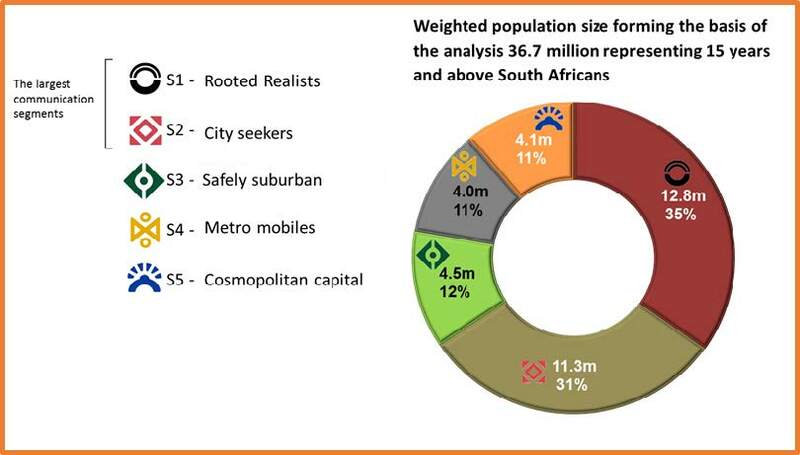 Thus, the GSM segments define the South African audiences for government communication by LSM, geotype and some psychographic variables (beliefs/attitudes and concerns). It serves as a reference point for government communicators, planners and marketers for effective reach and communication with the South African population. This segmentation and understanding of the different groups enables government an d its communicators to better engage and communicate with the different groups and to address the pertinent concerns and issues of the various groups. By understanding people and their differences, in terms of their needs and concerns and the services government delivers, this segmentation enables communicators to better understand what to say to the public and how to say it. More importantly they are in a better position while using their knowledge of available platforms to maximum effect thus working economically and creating greater alignment between government messages and citizen needs. When communicating: Consider your audience (i.e. which segment(s) are the target audience) and what information do they need. Also, consider how they would want to receive messages. Messaging: Depending on the segment, some communication content will need to be re-crafted in order to change negative perceptions or re-inforce to sustain the positive public perceptions.